A master whisky blender working at the base of Mt. Fuji, a traditional Noh mask maker, and a bamboo basket weaver living in a mountain forest are a just a few of the highly talented artisans that French photographer Roman Jehanno met on his photographic journey through Japan. Using the H6D-100c, Roman traveled to Tokyo, Kyoto, Osaka, Miyazaki, Hamamatsu, Gotemba, and Ina to shoot portraits of 33 Japanese craftspeople right in their element. Using beautifully balanced lighting, Roman harmonizes the artisan with their environment, giving the viewer a personal invitation into each of their dynamic workspaces. Yamamoto Akihisa casts handmade bronze mirrors used in traditional temples. Before jetting off to Japan, Roman heavily researched and selected the artisans he wanted to photograph – this was either through contacts who knew someone in Japan who happened to know a craftsperson or hours upon hours of looking through different subject’s websites, Instagram accounts, blogs, TV reports, and magazine articles until he found a profile that fit the project. Unable to communicate in Japanese, Roman enlisted the help of a friend in Paris who was able to contact the artisans that were selected, explain the project, and schedule the shootings. While on site, a translator joined Roman to make sure he had full ability to communicate his creative vision to his subjects. Hidenobu Takahashi designs and creates handmade neon signs in Yokohama. First, he draws out how the piece will look. Then, he bends glass tubes in a controlled fire. Managing the pressure inside the tube with his breath, he keeps the heat balanced inside and outside the tube. Producing his own personal work for exhibitions, he also has the ability to make huge commercial signs. Gen started his own company, Gentake, where he creates hand-woven baskets and bags from bamboo. He lives in an isolated traditional house inside a mountain forest near Hamamatsu. Junko Okimoto is an Ikebana Master (the Japanese art of flower arrangement). She also lives in and takes care of a 1300-year-old temple in the Shiga Prefecture. As a crucial part of his composition, Roman used an artistic contrast between light and shadow to delicately highlight the subject without them getting lost in the details of their work environment. To achieve this, Roman used two broncolor Siros L (400J and 800J) and a 90x120 softbox on the main light. The secondary light was coupled with a 60x60 softbox. Atsushi Heki is an actor and dancer, combining traditional dance techniques with more contemporary styles. Noh mask maker Mitsue Nakamura works in Kyoto where she has her own school teaching the art of mask making. Internationally recognized and award-winning whisky blender Jota Tanaka works for the Kirin Fuji Gotemba Distillery at the base of Mt. Fuji as the distillery’s Master Blender. The H6D-100c gives me the opportunity to have a huge amount of details and information even with a large field of view and in really low-lit areas. This was quite crucial for this project as the light I constructed had to coexist with the light on site. Fascinated with photography from the age of 17, French photographer Roman Jehanno graduated in 2008 from the Paris-based photography school, Gobelins. There, he was introduced to Hasselblad as his class shot on Hasselblad 503CW cameras. In 2014, Roman won the prestigious title of Hasselblad Master in the general category. See more images from his project here. For the photographer who demands nothing less than the best from their digital camera, we present the H6D-100c. Its large sensor offers an almost full field-of-view from our HC & HCD wide angle lenses and is capable of recording breathtaking detail, even in poor lighting conditions. Request a demo here. 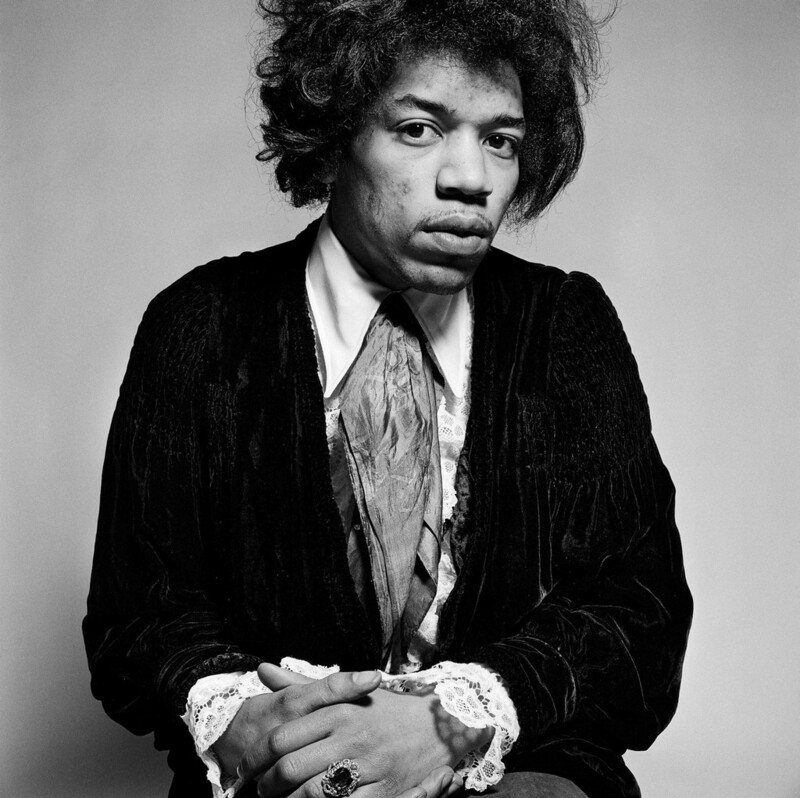 With his Hasselblad, Gered Mankowitz captured some of the most iconic rock music images in history, including that of The Rolling Stones and Jimi Hendrix, that have helped to define an entire era.